It was the monster and his pitiful story that grabbed the spotlight. “The piece upon the whole has little to recommend it, but that, as times go, will be no great obstacle to its success,” one critic wrote of the play. Leaflets questioning its moral fibre appeared throughout London and Birmingham. “Do not take your wives and families,” naysayers warned, since the play “treats of a subject which in nature cannot occur.” Yet the forbidden is forever fascinating, and new versions of the Frankenstein story, both tragic and burlesque, drew crowds in London, Paris, and New York. New, but now familiar, details attached to the story as it snowballed through popular culture: a bumbling assistant; an inarticulate monster; links to machinery and power generation. The monster’s costume and makeup changed from show to show: a toga in one rendition, blue skin in another. The title of that first and most popular play became the one-word summation of the story and its message: Presumption. “In every age of the world woman’s curiosity has been equalled by man’s presumption,” read the opening words of a two-penny chapbook retelling the story. Blunt moralisms explained away the ambiguities and mystery of Shelley’s story. Most adaptations ended when some natural catastrophe — lightning, volcano, explosion — destroyed man and man-made monster in one sweep. 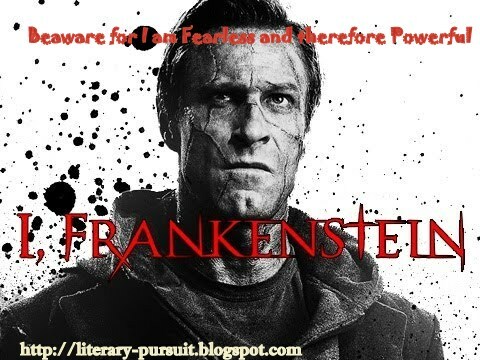 Even today, there are only a few people come across Shelley’s novel Frankenstein, yet numerous around the world know the story, believe the monster is named Frankenstein, and imagine his bloodcurdling look. To retell the story is a challenge in itself; it is so layered with interpretations. Yet at its core is a myth of human ingenuity, a story that taps hope and fear simultaneously.